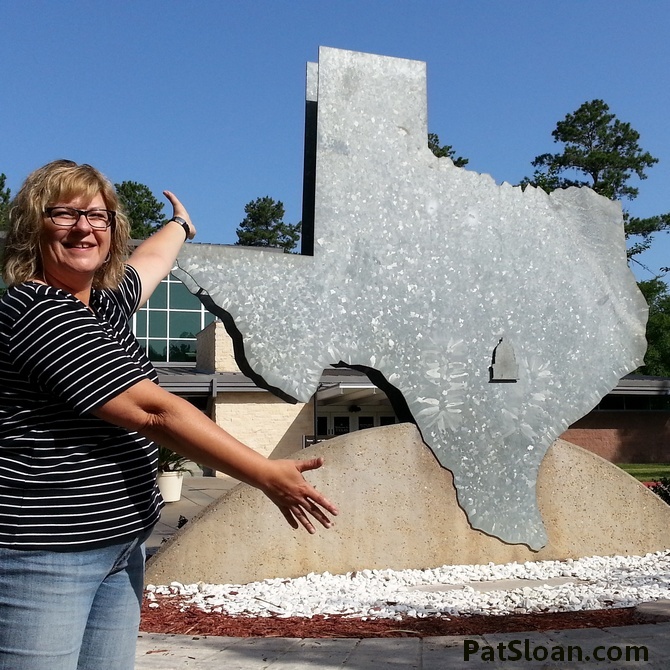 LIFE with PAT ... my road trip to teach in Texas was a blast! Gregg and I have so much fun seeing the country and meeting people. During the trips I share a lot of photos at Facebook and Instagram ... here is a little recap! 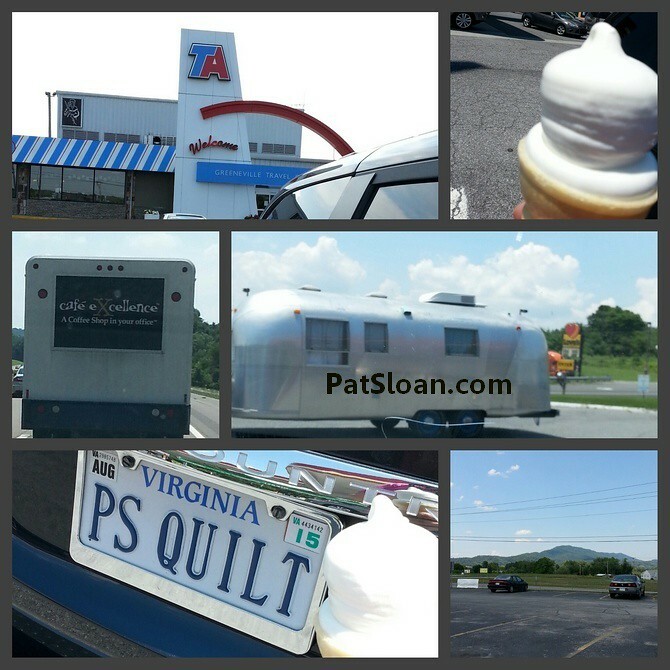 The first day was a drive south for the prettiest drive in Virginia! This included an ice-cream stop where they served up the most perfect cone I've EVER seen.. right? I couldn't resist putting my 'name' on that travel trailer.. as there were many discussion about the NEED for one for these trips. I actually moved a UFO project forward.. always a good thing! 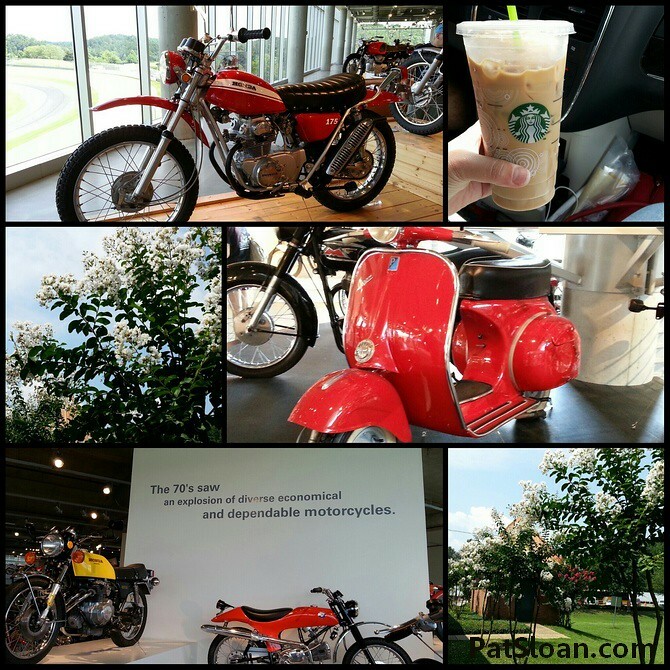 And we made a nice stop at the Barber MotorSports Museum. My love of motorcycles runs deep. I don't drive them, but I love to ride on them! My neighbor had one when I was a little girl and I'm sure I got a short ride in the back yard on it. Then when I was in highschool nobody had cars due to the driving age in Belgium. So a few had a motocycle. I remember riding on the back of my girlfriend's bike .. holding a transister radio blaring out the latest tunes! I also drove one into a hedge while trying to 'learn' to handle one myself. Luckily i was once again IN the backyard and only went a few feet! 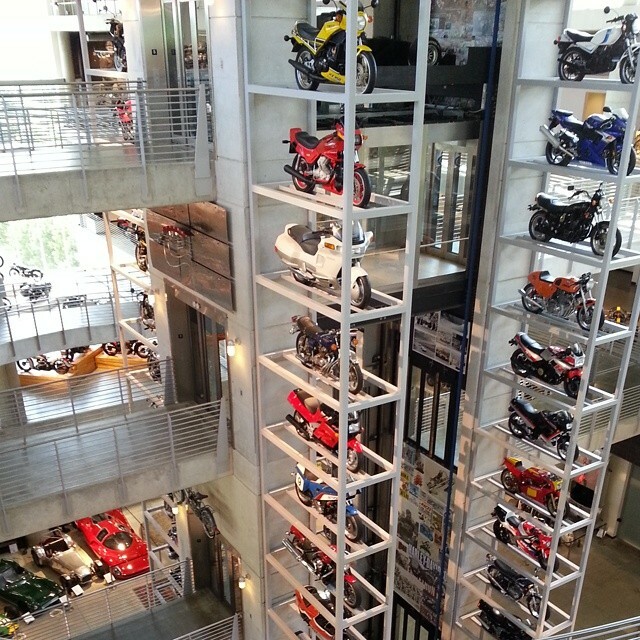 This is the MOST incredible museum I've been into. The displays are amazing. 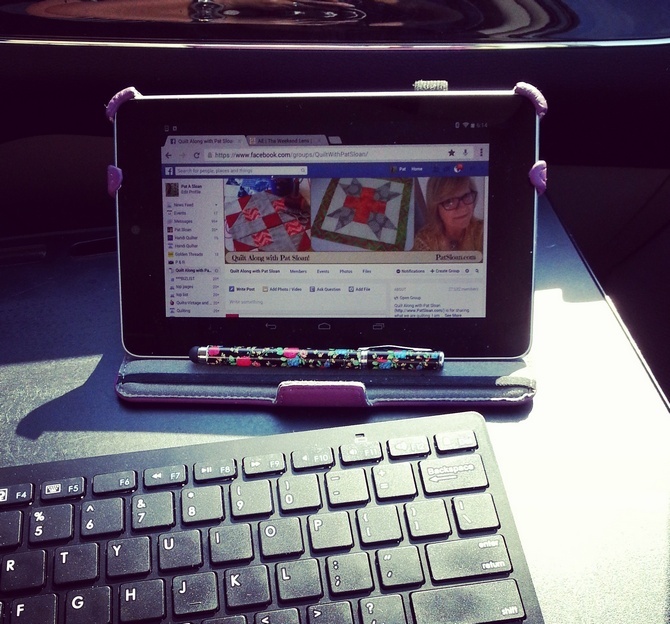 keeping up with all the goings on! EVERYTHING is bigger in Texas.. 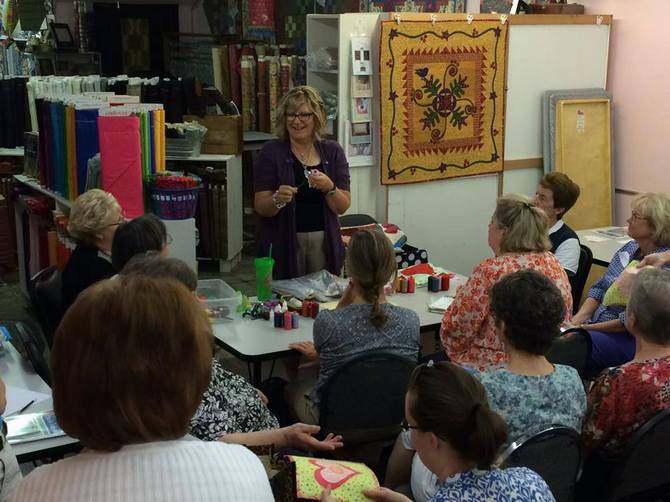 The Abilene Texas quilt guild hosted me for my Wild and Free workshop..
LOOK at their backgrounds.. rock star material! 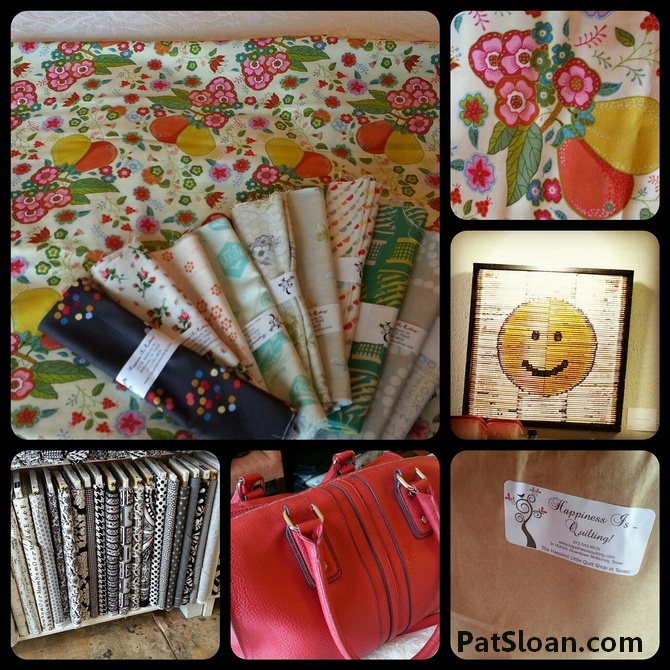 some goodies spotted in class, and then the quilt on the lower center is my design made by one of the ladies in the guild!! 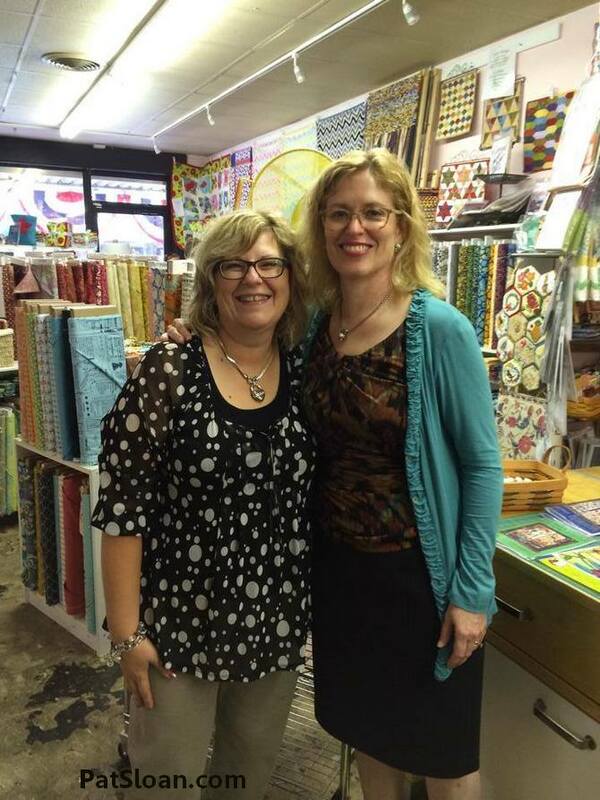 Shaula was in my workshop and came to my talk, she invited me to stop into her Feathered Star Quilt shop in Clyde Tx on my way to McKinney. What an adorable shop!! 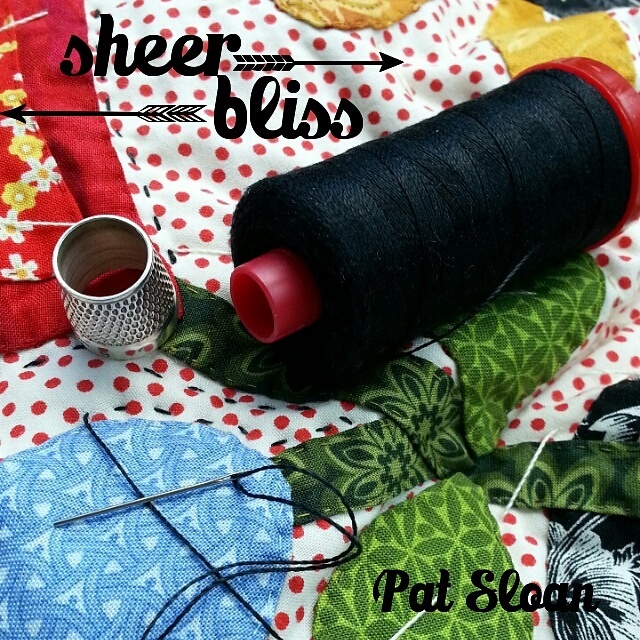 if you are in the area stop in and have her demo making the tumbler quilt.. PERFECT fun.. and I may have bought the ruler. 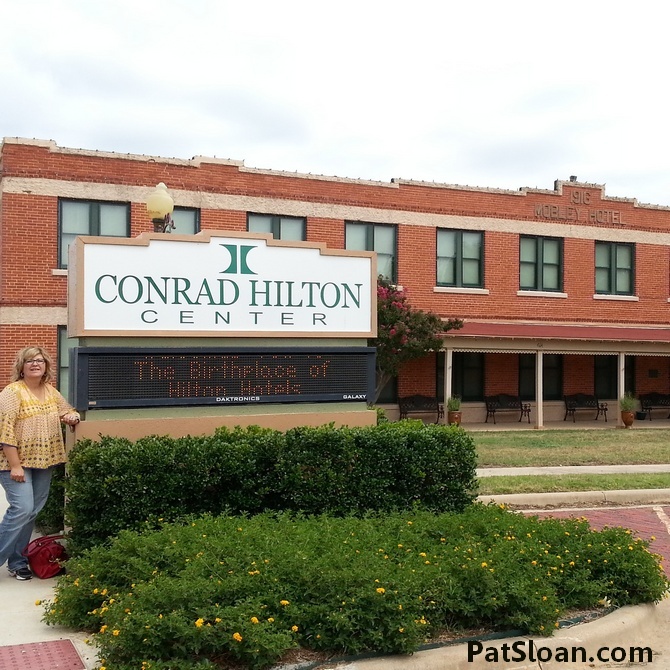 We are HUGE Fans of Conrad Hilton. this is the first hotel he bought in Cisco Tx. Inside on the 2nd floor is a gem of a museum full of History. We could have spent hours there! His book "Be My Guest" is wonderful! 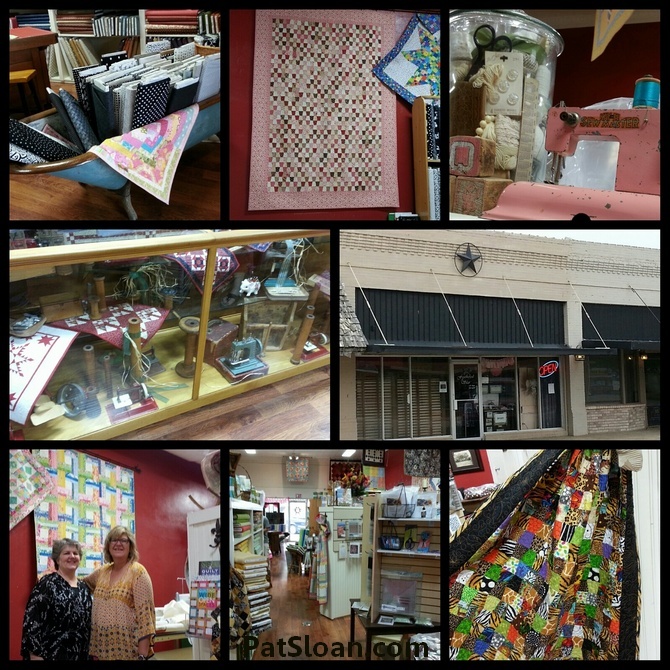 But we had to head to the quilt shop in McKinney and give a talk to the McKinney quilt guild that night. 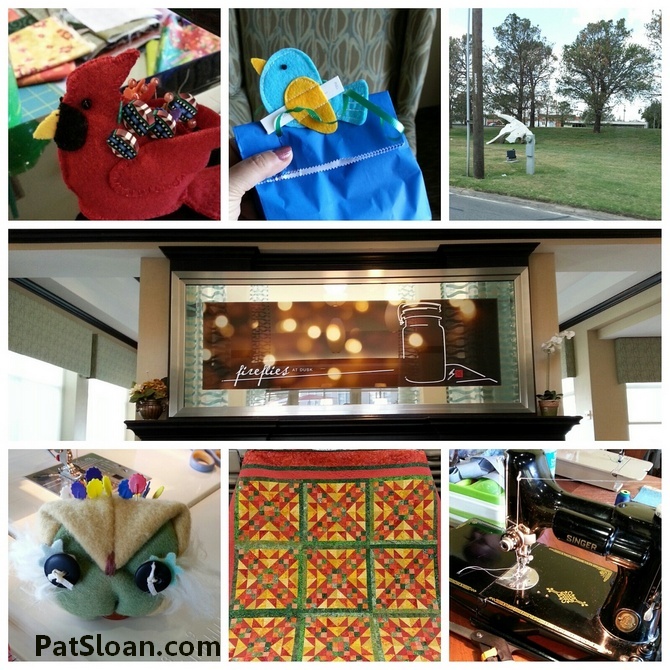 I also did a talk for the Denton Tx guild, what a fun group they are! 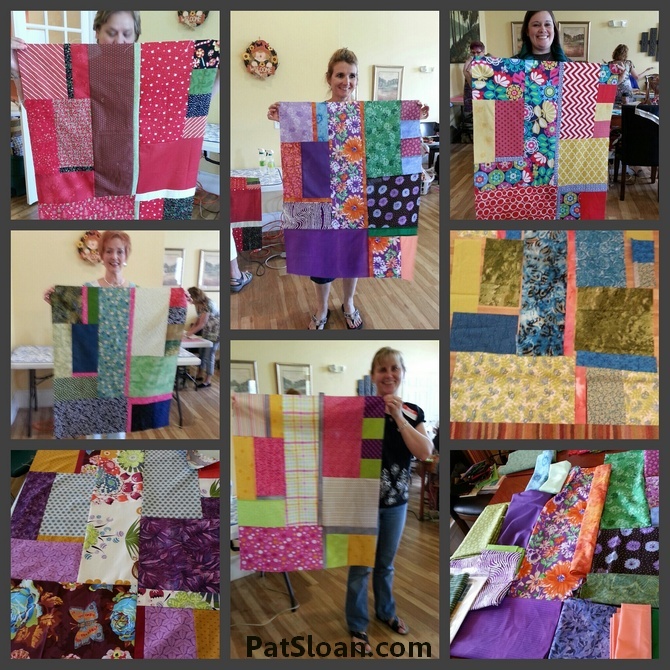 I spent 3 days teaching at Happiness is Quilting in McKinney Texas.. 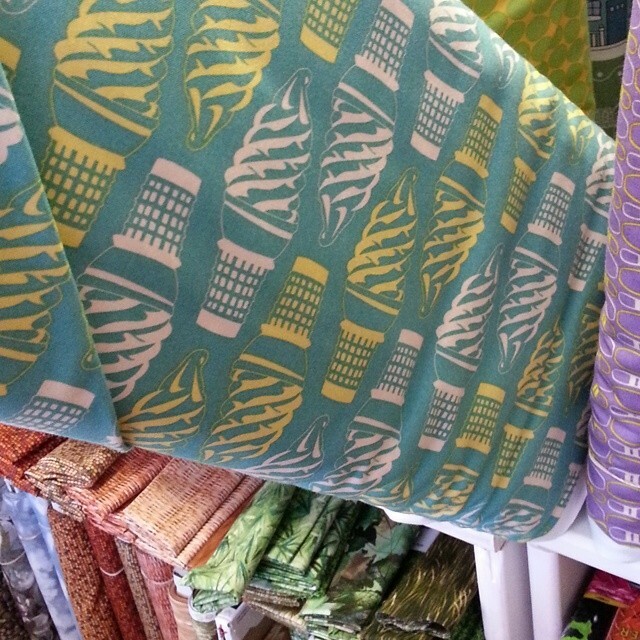 I LOVE this shop!! The Amazing Laura Kay who owns the shop and creates all the magic! If you want some get it here! Follow me to Maine starting Thursday!